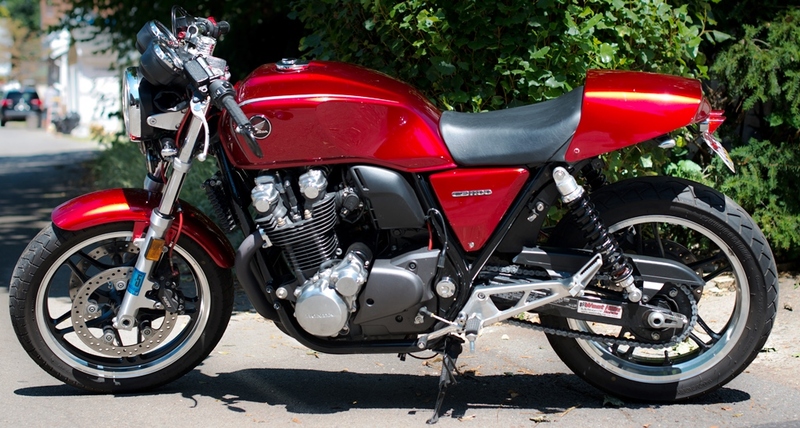 Race Tech has worked wtih Cafe Racer Magazine long term test bike Honda CB1100. This Retro Model like most has mediocre stock suspension. Race Tech firmed up the mushy over-diving Damping Rod Style Fork with our HP Springs and Gold Valve Cartridge Emulators providing a firm yet plush front end. G3-S Shocks are Custom Built to Order with options for Compression and Rebound Adjustment, Ride Height adjustment along with Spring Preload. These Shocks ensure a smooth comfortable ride You and Your Passenger will appreciate. Guaranteed! Race Tech Offers These Suspension Upgrades for the orginal 1983 CB1100F as well!